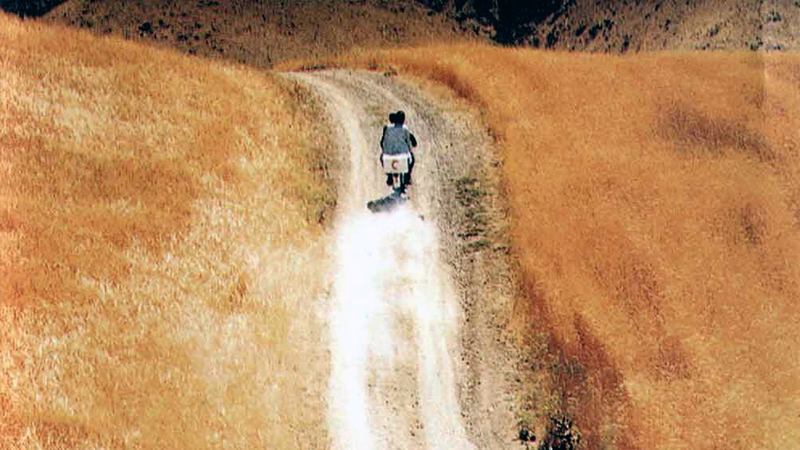 Jafar Panahi’s film opened on just 18 screens in the UK. It got some excellent reviews and its modest screen average doesn’t seem to have deterred subsequent bookings (you can find the next couple of weeks’ screenings here). It will travel around the UK but I still feel that it is something of an insult to one of global cinema’s finest filmmakers that his Berlin prize-winning film is treated in this way. Most of the bookings are in London and often the film shows just once. The UK’s three chains of supposedly specialised cinemas Picturehouse, Curzon and Everyman – are not showing this as a ‘circuit film’ even though it outstrips anything else they have to offer. 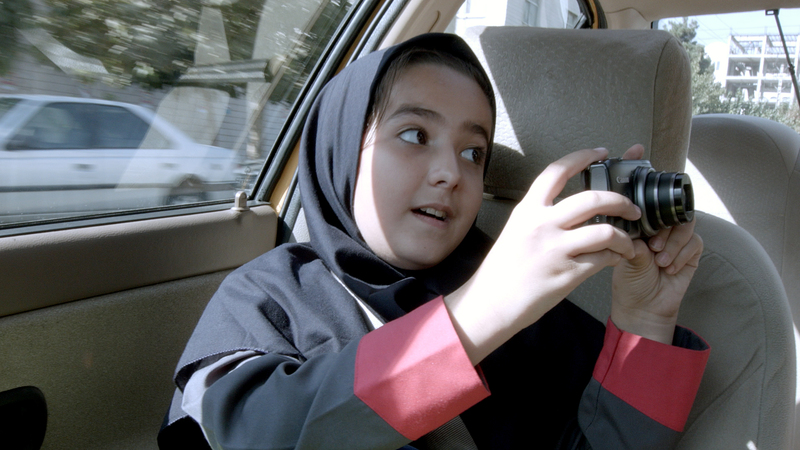 Taxi Tehran is an unassuming masterpiece based on skill, intelligence, creativity and bravery – all attributes Panahi has consistently demonstrated in his ongoing satire on the absurdities of government control of artists in Iran. Don’t these clods ever realise what an alluring and joyful representation of Iranian culture filmmakers like Panahi are offering to the world? Perhaps this is the very reason why they try to silence him. 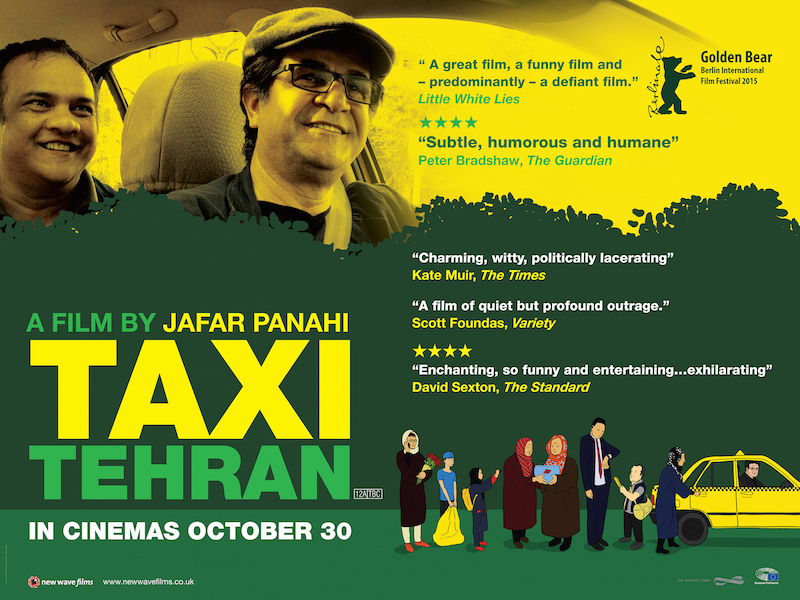 You may have read that Taxi Tehran consists entirely of footage taken by a dashboard camera in Panahi’s car as he drives through Tehran accepting passengers as if he was offering a taxi service. On a couple of occasions the footage is augmented by footage from his young niece’s digital still camera. If this sounds dull, believe me it isn’t. I won’t spoil the film by detailing all the ways in which the critique works. I’ll restrict myself to one example. 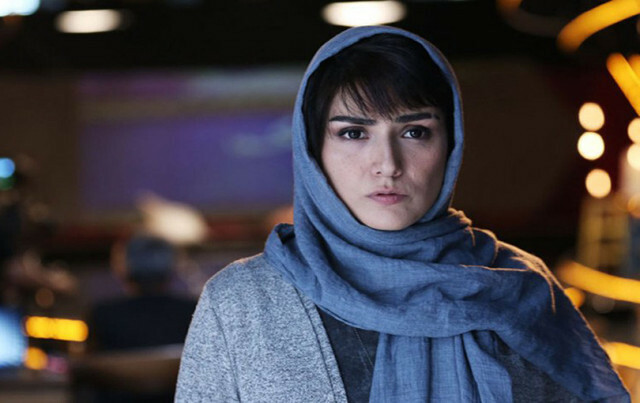 When Panahi picks up his young niece outside her school, she comes on with a full diva stance – his car isn’t flashy enough for a famous director. She then tells him that she has to create a film for a school project and that the film must be ‘screenable’. It must conform to the criteria set down by her teacher. These ‘rules’ include all the proscriptions set out by Iran’s censors, including the ban on ‘sordid realism’ and any discussion of social, economic or political ‘problems’. Panahi’s film breaks all these rules in every mini-narrative which develops each time another passenger gets into his car. I admired Panahi’s earlier This Is Not a Film (2011) but it did involve some tedium and intellectual effort to ‘enjoy’. 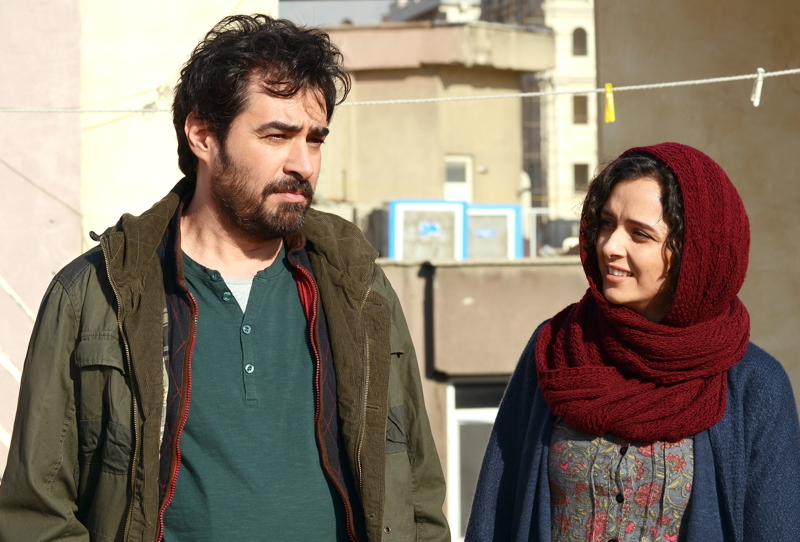 Taxi Tehran is pure cinema, start to finish as far as storytelling is concerned. If you can’t cope with the director as auteur you might find it irritating that several references to Panahi’s other films are important. Personally, I don’t care – Panahi the man comes across here as a lovely man I instantly want to take round to my local pub. He doesn’t have to drink alcohol if he doesn’t want to but I know he would make the lives of ‘ordinary’ people interesting. At one point, somebody asks him how they should find a story for a film. I thought he might use the neo-realist mantra. He doesn’t, but in practice he follows it all the time – stories based on the everyday encounters of people on the streets. Magnifique! 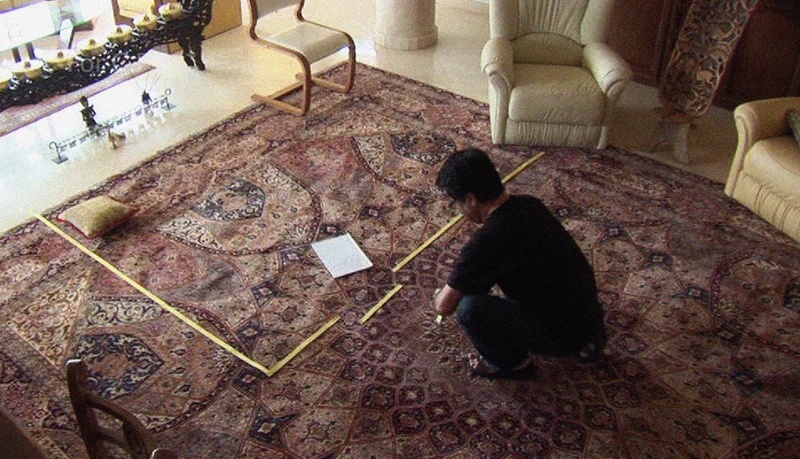 Panahi uses tape to mark out a girl’s room/’cell’ in a film he’s banned from making. So where is the camera here? Is Panahi’s colleague standing on a chair? For anyone unaware of the background to the film, I should point out that Jafar Panahi, one of the best-known and most celebrated of Iranian directors, was arrested in December 2010 and put under house arrest after committing the ‘crime’ of voicing his support for the Green opposition to President Mahmoud Ahmadinijad during the 2009 election. Panahi has been sentenced to imprisonment and banned from making films and engaging with foreign critics for 20 years. 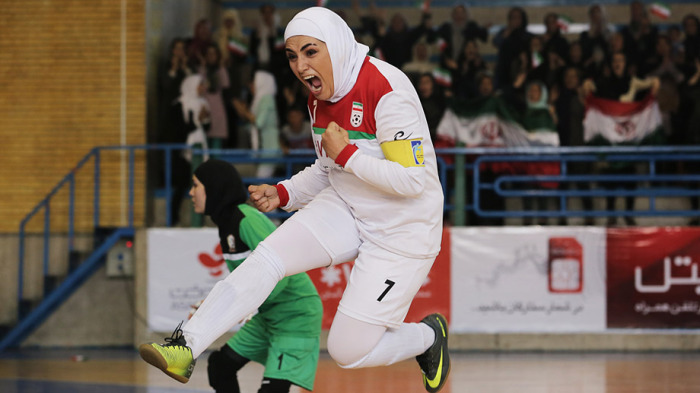 This film is therefore ‘not a film’ but an ‘effort’ put together by Panahi and his friend, the documentary producer and director Mojtaba Mirtahmasb. On the one hand, the whole film is about imprisonment. Panahi shares his space with his daughter’s pet iguana, ‘Igi’, an enormous and very endearing creature who at one point crawls behind a bookcase, threatening to topple hundreds of books. A neighbour asks Panahi to look after a yappy dog for a short while but dog and iguana don’t mix. But even imprisoned, Panahi can’t/won’t stop being a filmmaker. He and Mirtasmasb make fun of the definition of ‘not making’ a film. “You can’t say cut!”. “Just keep the camera running”. What is a film? How do we separate the ‘meaningful’ and the ‘meaningless’? Nothing in This Is Not a Film is ‘redundant’. Panahi looks up from his MacBook (plenty of product placement!) to watch the TV screen for a few moments as the 2011 tsunami devastates a coastal village in Japan. How do we ‘read’ this scene? 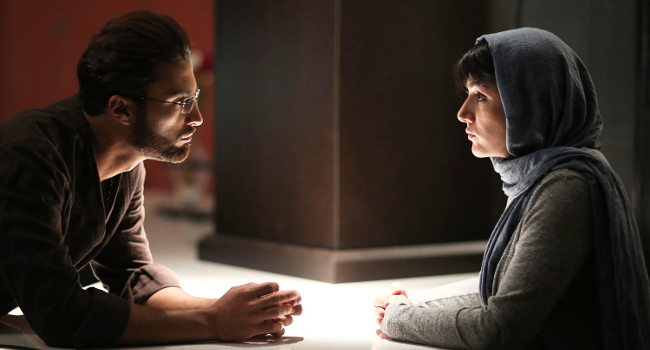 Later on, when Panahi asks a few simple questions of the stand-in caretaker, the answers reveal something about life in Iran outside the comfortable middle-class flat. Here is a young man studying for a Masters, but having to work doing several jobs to pay for his education – some of them unpleasant and jobs that must be done full-time by somebody else. This isn’t a critique of Iranian society as such but simply an example of what a student might face and that’s probably enough to anger the authorities. Each of the three sequences from his earlier films that are shown on his TV set allows Panahi to demonstrate how his realist approach throws up interesting questions about cinema, in particular about ‘amateur’ actors interacting with a script and how the accidental mise en scène of neo-realism sometimes creates strongly symbolic images. And in a sense of course, this is the tease of This Is Not a Film – 72 mins of what seems to be a ‘day in the life’ of an imprisoned filmmaker, but which is actually an artfully constructed essay on cinema. It will no doubt become a film school classic as a film to study. 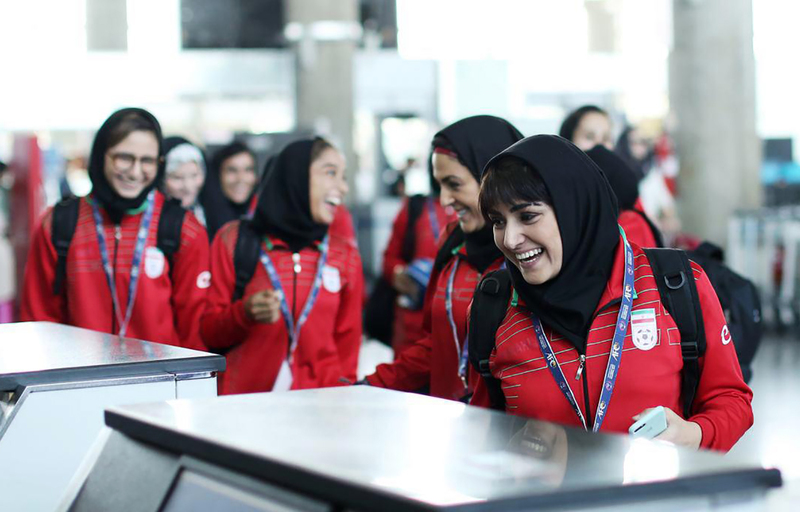 But as we sit back and enjoy it, there is the real worry in that completing the film and smuggling it out of the country for international exposure, Jafar Panahi might have goaded his tormentors into an even harsher regime of repression for filmmakers. I hope not. The film’s official website in the US also carries details of screenings in the UK. It deserves a much bigger audience than it seems to have been getting so far, so please don’t miss it.